Audience Picks: 100 Best Beach Books Ever Almost 16,000 of you voted in our Best Beach Books poll. Whether such a vote can determine literary quality, who can say? But if there's one thing a multitude of book-loving NPR types can definitely do, it's pick books that appeal ... to book-loving NPR types. 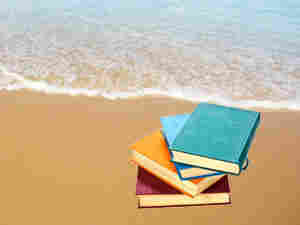 NPR presents the best fiction, nonfiction, mysteries and cookbooks for summer 2009. People talk a lot about the wisdom of crowds, but the truth is that large packs of people are better at judging some things than others. Almost 16,000 of you cast some 136,000 votes in our Best Beach Books Ever poll. Whether such a vote can determine literary quality, who can say? But there's one thing a multitude of book-loving NPR types can most definitely do, and that's pick a list of books that will appeal to... book-loving NPR types. Which means, if you're reading this, you stand an excellent chance of finding the book that will make your summer vacation among the 100 audience favorites below. Happy travels!